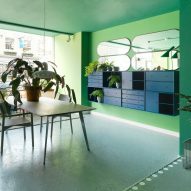 A high-end furniture store has been transformed into an eco-friendly home full of sustainable Scandinavian products for London Design Festival. 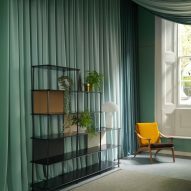 Skandium Townhouse, a concept store housed inside a four-storey house in Brompton, is currently calling itself Eco Townhouse. Danish brands Montana and Skagerak have furnished the property, using only pieces from brands that have a strong ethical commitment and social responsibility initiatives, and that make products from sustainably sourced materials with ethical manufacturing techniques. The project forms part of the Brompton Design District, whose theme for 2018 is Material Consequences. 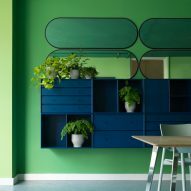 "We were keen to throw ourselves fully into the theme," explained Skandium, a London-based retail brand that specialises in Scandinavian design. 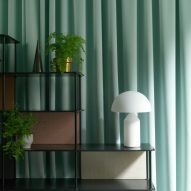 "Scandinavian suppliers stand head and shoulders above the rest of the world when it comes to mitigating the environmental and even social impact of their products, and as such, Skandium is already populated with superlative examples of sustainable, responsible design." Both Montana and Skagerak believe that the word "sustainability" has become overused and is starting to lose its impact. Both interpret the idea of "consequences" as an emphasis on making quality products that last through generations. "Our principles as a company are based on simple lessons my mother taught me," said Skagerak CEO Jesper Panduro. "Always be a decent person, always take responsibility, always be respectful. It's not the most profitable way of thinking, but it is the only way to think if you are business." 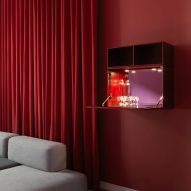 Both brands feature modular furniture systems made to suit a generation of buyers who own less and want to be mobile. The designers at Montana explained that their customers want to curate their homes to display their personalities rather than their possessions. "We create modular systems so that people can make room for personality in their homes. 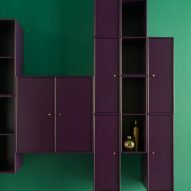 The Montana system has 36 modules, four depths and 42 colours – so you can imagine the different combinations," said Annette Spanggaard from Montana. All of the Montana furniture pieces are created with wood from local suppliers that reforest as they harvest. Montana also employs refugees in its factories and helps integrate them into the local communities. Skagerak populated the garden of the house with signature pieces from its outdoor range. These include the Overlap table and bench designed by Swedish architecture studio Taf, the Reform table and bench by Louise Hederström, and the classic Lise sun chair that was designed 25 years ago by Isbrand. All of the items are designed to be easy to move around so that users can reconfigure the space. Inside, Skagerak products also offer flexibility in the home: for example the mattress of the Reykjavik Daybed by design studio Included Middle can be flipped to change the colour balance. The palette and materials are inspired by Iceland. "The items all have beauty in common," said Panduro, "although the functions are all different. 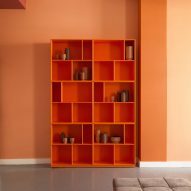 The shelving is like music – we have composed a shelving system, with different colours and sizes. And the reversible Reykjavik Daybed will transport you to Iceland." As well as the designs by Montana and Skagerak, the exhibition also contains the Alphabet Sofa designed by Piero Lissoni for Fritz Hansen, which is upholstered with Kvadrat wool and manufactured in Norway. There is also the Noguchi Coffee Table, created by Anton Björsing for Vitra, and the CH88 Chair, designed by Hans J Wegner and manufactured using hardwood from Danish forests. Skandium is owned by Magnus Englund, Chrystina Schmidt and Christopher Seidenfaden. 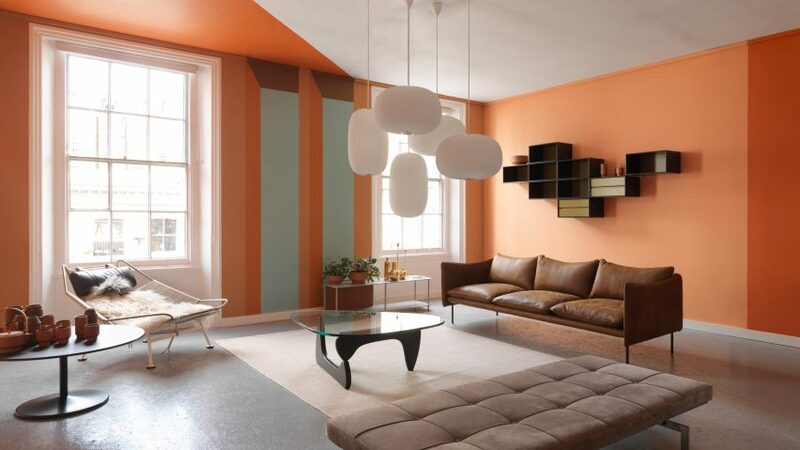 The Skandium Townhouse was established in South Kensington by these three London-based Scandinavians and is aimed at being a home for Scandinavian design in the city. It launched during the design festival last year, with an exhibition by lighting brand Louis Poulsen. Eco Townhouse has been on show throughout London Design Festival, which ran from 15 to 23 September.